If you're a small business owner, you need to know what qualifies as a "group"
There are many misconceptions regarding what qualifies as a “group” with regard to health insurance. Companies that would technically be able to apply for group benefits fail to do so simply because they are under the mistaken impression that their business is ineligible. Conversely, many companies apply for group health insurance plans and are denied coverage because they fail to meet the minimum requirements set by the carriers. In many states, a company only needs two employees to qualify as a group. 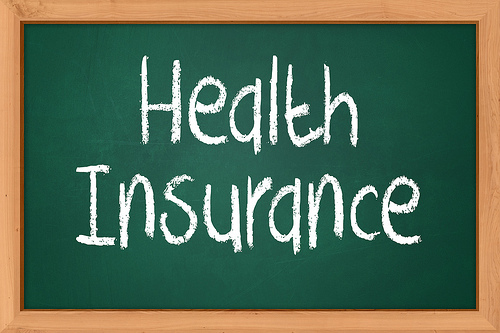 Many organizations obtain group health insurance coverage with only a small handful of employees. Family-owned businesses may qualify as a group, provided all family members are actually working in the business and receiving compensation for their efforts. Employers who intend to offer a group health insurance plan to their employees must make it available to all those who work at least the minimum number of hours as required by their state’s insurance department. An employer is prohibited from selectively choosing which workers will be offered participation in the plan. To prevent fraud, most insurance companies require new group health applications to be accompanied by several additional documents that verify the information submitted on the application paperwork. Most carriers will require the company to submit a copy of its most recent quarterly tax or payroll documents listing the employees who were paid by the company and how many hours each one worked. If the company is incorporated, copies of the Articles of Incorporation may also be requested. The information contained in these documents should exactly match the data provided in the insurance application paperwork. The only exception to this rule would be an owner who does not pay himself actual wages, but instead shares in the overall profit of the company. In this case, since the owner would not be listed on a payroll report as having received compensation, the insurance carriers will request copies of his most recent federal income tax return. The per-person premium for most group health insurance plans is calculated based on several factors. In many states, health insurance is medically underwritten. This means that application paperwork contains a series of questions pertaining to each employee’s medical history. This information is considered by the carrier and premiums are adjusted according to the potential risk exposure. These price adjustments are added across the board, and no employee is singled out, so all employees assume the financial burden. In some states, group health insurance plans are not medically underwritten. Premiums are calculated based solely on the features of the insurance plan, regardless of the medical history of the owners and employees of that particular group. Although rare, most states allow employers to offer group health insurance coverage to independent contractors, provided it can be clearly demonstrated that those individuals worked at least the minimum number of hours required for participation, and that they work solely for that employer. To qualify for a group health insurance plan, companies must demonstrate that a minimum percentage of the eligible full-time employees, as defined by the state’s insurance department, will participate in the new plan. For example, the participation rate in New Jersey is 75 percent. Therefore, if too many eligible employees of a New Jersey company decline the coverage and the participation rate would be below 75 percent, the group as a whole is no longer eligible and cannot get coverage. The only exception to this rule pertains to employees who already have existing group coverage elsewhere through another employer or a spouse’s employer. Those workers are referred to as “eligible waivers,” and their declination of coverage will not interfere with the rest of the group. Additionally, if employees are hired or fired after the group health insurance plan is purchased, the company must ensure that there is still acceptable participation by the time the contract renews. Upon renewal of the plan every year, most health insurance carriers request updated payroll documents and ask that the company recertify its group’s census to ensure proper participation rates are met.